Alfredo Keil(1850-1907), Portuguese romantic composer and painter, a German-origin, he studied painting in Munich and Nuremberg. As a composer, he gained prominence with his operas, his work "Serrana", is considered the best Portuguese opera. 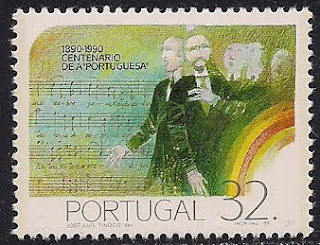 he composed the Portuguese national anthem.